Mobile casino gaming has evolved in so many ways in the past couple of years, with mobile leading the charge. Nowadays we are talking about skill based casino games as well as the virtual reality experience, which is a real far cry from the days when all we had were brick and mortar casinos and "traditional" croupiers and tables. Mobile is uniting all things at once, thanks to its all encompassing reach across all activities in our everyday life. Thanks to the increased processing power, better graphics and even more pixel rich displays, we can now enjoy a wide variety of casino apps on our smartphones and tablets without compromising for quality. 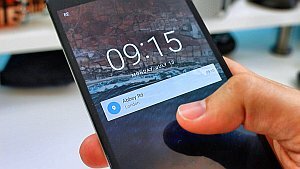 The Android market in particular is bursting with potential. So many new developers have come out with an offer of their own for the already established and fan favorite categories like slots, video poker, roulette, blackjack, baccarat and many others, it is hard to keep a track of all the new games out there! Mobile casino gaming offers many advantages so it is no wonder that the market share for mobile casino apps is increasing exponentially form year to year. Accessibility, security, touch controls, lots of mobile only bonuses as well as embedded integration with social media like Facebook and Twitter are just the tip of the ice berg. With that being said, if you want to become a part of the rising trend here's a short intro where you can learn about the differences between the apps available on Google's Play Store and those at your favorite online casino and how to get them both installed on your Android powered device. Google's huge and incredibly varied selection of casino apps has an abundance of apps for download that contain a plethora of your favorite games with a twist - not single one of them can be played for a monetary gain. Make no mistake - many of these casino apps have in-game purchases - you can spend money to get more coins, spins, bonus games and more but that's about it. You cannot bet with real cash nor you can win any - it is all for fun. This is due to Google's policy to not allow for online gambling on their mobile platform and it is very strictly enforced. These types of casino apps can be found on the "casino" category at play.google.com. You can navigate to that selection by simply selecting casino at the category menu or by searching "casino" in the search box. Once you have found the app that you want to try out, tap the name where you will be greeted with the dedicated app page, complete with app description, reviews and screenshots (or video). If you fancy the games and what the app has on offer, you can then proceed to download the app by hitting the install button - do note, if the app is available for your version of Android (and device) it will be listed under the tab "your device is compatible with X device". Depending on the size of the app it can take up to several minutes for the app to download on your device and then install itself on the system. Once it has been installed, a message will prompt you to try it out. You can either press directly on the alert message or you can navigate through the apps menu and launch the app from there. 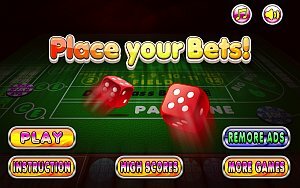 The other type of apps, or the "play for cash" casino apps can be found on the official online casino's website or via affiliate sites that are promoting the casino. These apps cannot be found on Google's Play Store and this is the only way to install them. The casino itself guarantees for their quality and the games they contain, as well as the banking options and the bonuses so you will have to be careful when finding an app that is part of a respectable and well known brand. The process for downloading the app is virtually the same as the above described apps - you just download the app via the provided link and once the process is finished you can use the shortcut to access the app. Mobile casino apps that offer real money gambling have several differences than those that are intended just for fun - they usually require a log-in (registration) if you want to be able to take advantage of the mobile bonuses, chat with friends, and also enter competitions and other events.